Bluegrass Underground has announced its 2016 season lineup, including the schedule for the exclusive taping of PBS special Season VI Bluegrass Underground. Tickets are already on sale for a number of the events, but tickets for the PBS taping go on sale today, Jan. 29 at 4:30 p.m. Artists slated to appear at the three day event are nothing to shake a stick at. Jason & The Scorchers, Sierra Hull, Drivin’ N’ Cryin’, and The Cox Family are all performing on Friday, April 1. Saturday, April 2 brings us Dave Rawlings Machine, Hurray For The Riff Raff, Mac Mcanally, and Frank Solivan & Dirty Kitchen, and then we get to go to “cave church” on Sunday, April 3 with St. Paul & The Broken Bones, JJ Grey & Mofro, The Suffers, and The Lone Bellow. 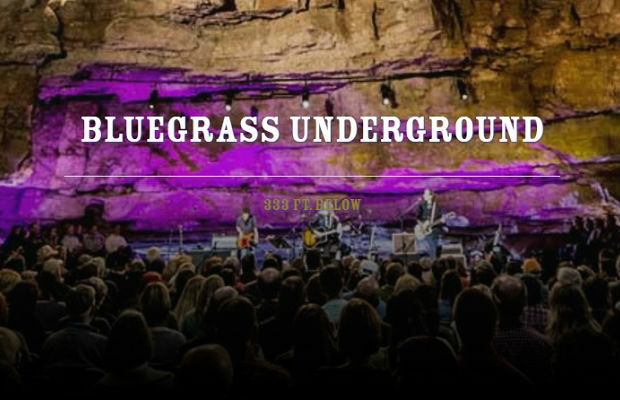 This weekend event is by no means the full spectrum of the Bluegrass Underground season lineup, which is hosted 333 feet underground, in McMinnville’s Cumberland Caverns. You can peruse the full lineup here. However, if you are looking for an early spring “underground” music festival, the PBS taping might just be the perfect weekend away. If you have any question about whether this is worthy of the drive, just listen to St. Paul & The Broken Bones below, and then imagine that experience in a subterranean cavern.